Some of you who were busy enjoying the new reset last night may have already noticed a few of the “in game fixes” that went live during the reset. For those that didn’t, here’s a quick run down. In combination with the activation of Strength of the Wyrnn and Hellscream’s Warsong, Icecrown Citadel has seen quite a nerf this week. I’ll be updating my own boss guides that are affected by the above changes this afternoon and on that note, look forward to a couple more coming soon! Zone Wide Icecrown Citadel Buffs to Go Live. MMO published that as of the US maintenance on the 2nd of March, the previously announced Icecrown Citadel raid buffs are now live on those servers. These were initially mentioned some time ago by a blue poster. Currently, Strength of the Wyrnn or Hellscream’s Warsong are giving a 5% boost to both hit points and the damage or healing done of every member of the raid. Evidence suggests however, that there are higher rank versions of these two buffs allowing upto a 30% increase to the afore mentioned stats. These buffs aren’t mandatory and each raid can choose whether or not they want to take advantage of this mechanism. As a note to this, a visitor to my blog drew my attention to the fact that currently anyone in the raid can disable this buff. Once it’s turned off, there is no activating it again until the next reset. If you intend to make use of this buff, be sure to warn your fellow raiders not to go clicking! Thanks go out to Maker for notifying me of this. In addition to the introduction of these option raid buffs the limited attempts on end wing bosses of the hard modes has been increased to thirty five. While I think that it’s nice you can choose whether or not to take these buffs, there seems little reward (aside from personal knowledge) of not doing so. For those guild’s still progressing, I suspect most if not all will be taking the option for the sake of their PvE standings in relation to other guilds. There doesn’t appear to be any advantage (again, aside from a personal sense of achievement) to clearing all of ICC without using this buff. Perhaps they should have added a complimentary set of raid achievements to this mechanism for clearing without the use of these buffs? In tBC, the nerfs to the PvE content towards the end of the expansion weren’t something you could “opt into” like this. There, they simply blanket nerfed the hit points and damage output of all raid bosses from Karazhan through to Sunwell in the pre-Wrath patch 3.0. In addition it adds another layer of optional raid difficulty. We have normal modes and hard modes. In the case of some encounters, we’ve had multiple strengths of hard mode (thinking about Yogg for example). Now we also have the introduction of these optional raid wide buffs and indeed, they are going to come in varying “ranks”. While there is still the Ruby Sanctum coming before the launch of Catclysm, I do ponder if progression through Icecrown Citadel isn’t happening a tad too quickly in light of the fact Cataclysm hasn’t entered beta nor do we have much of an inkling of a release date for it. Months of farming the same content is never popular before an expansion launch after all. In conclusion, the optional buffs are here and best of luck to all my readers (and their guilds) who will be taking advantage of this to push on Icecrown progression tomorrow! In more general WoW news, this week saw the release of the Icecrown Citadel hard modes. The gating system in ICC was always going to be met with mixed reception but at last, the raid instance is fully available. 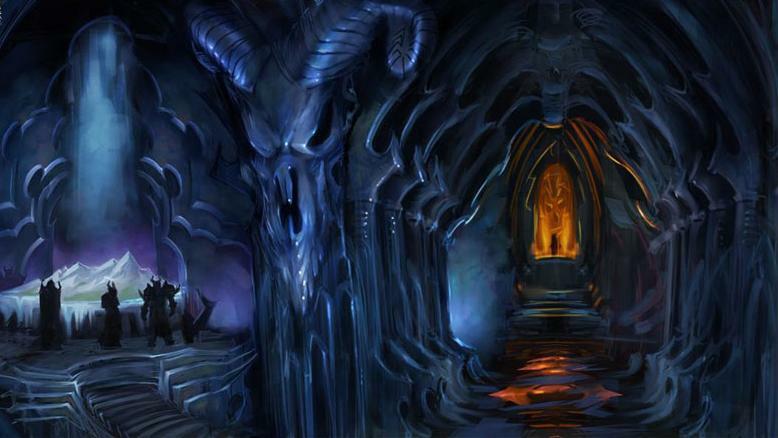 Icecrown Citadel has been, in my opinion, a very nicely designed raid instance. The ambience, artwork and lore were all exceptional and after the disaster that was the Trial of the Crusader instance, Icecrown has been successful. I will admit to being surprised with the speed at which the hard modes have been defeated in twenty five man content. Paragon (EU) impressively took the world first killings of ten of the Icecrown hard modes on the day of release. In the following two days, they took the remaining two stood between themselves and the Lich King. Obviously, these are, presumably, not just the crème de la crème of raiders, but also those with a great deal of time to invest in their raiding. I do feel slightly saddened by it however. As I reflect back on the final instance of tBC, the infamous Sunwell Plateaux, the speed of progression was much slower. Blizzard have always said that they would never make another Sunwell. It simply made no sense in regards to the resources they spent on it in relation to the percentage of players that saw it in it’s pre-nerf state. Hard modes were introduced to give the better players the challenges they craved without starving the casuals of the chance to see the raid content. Still, if the hard modes are the best they can now offer to that niche of raiders, isn’t one week to defeat most of them a little on the speedy side? Naturally, they’re just my personal musings on the subject. I’m not a twenty five man raider so commenting on the tuning of their hard modes is perhaps not my place. What I will comment on are the ten mans. 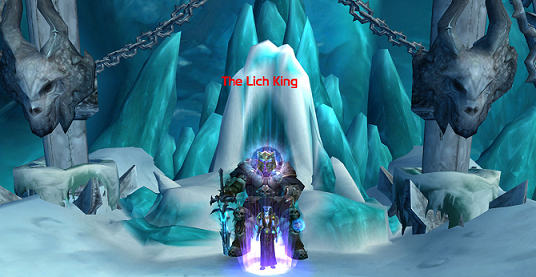 My guild have finally reached the Lich King this week (on normal mode, I should add!) The progression of the ten man strict guilds has been at a steadier place. Two strict ten man guilds have downed the Lich King on normal mode this week, both on US servers (we’re lacking behind EU!) Overall, I’ve thought the tuning has been good. The first few bosses are predictably easy, thus allowing the majority of players to see and defeat them with little to no practice. Some of the later bosses have proved more challenging. Blood Queen Lanathel held us up for a week (although I should mention we were down one of our main healers). Sindragosa also cost us a week of learning as, while she is a simple enough boss, the execution of her has to be quite precise; a boss truly about accurate positioning. (On that note, I will be updating the Sindragosa boss guide to reflect changes we made to our own tactic which I believe are better than those originally posted). How long will the Lich King take us? Who knows. I do know I’m desperately waiting for us to be able to make a start on the hard modes. As with the twenty five man guilds, that’s where the real challenge presumably starts. 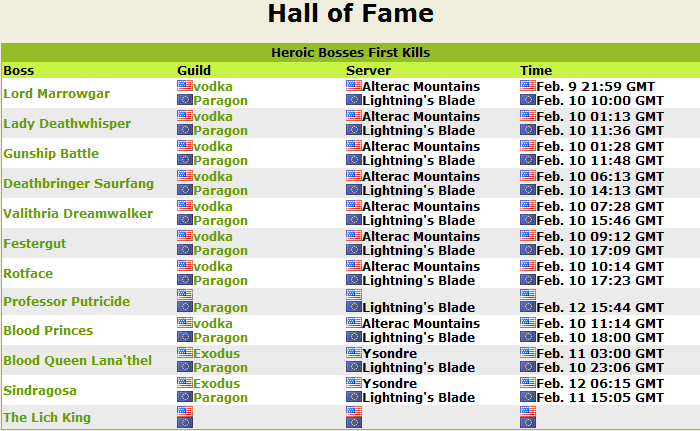 On a personal note, I do wonder how Guildox (the site responsible for the strict ten man rankings) weight boss kills (or rather achievements). Seeing guilds in the top ten EU rankings that lack the most recent Icecrown Citadel kills but boast Yogg 0 kills seems a little strange. Or maybe if Yogg 0 is still deemed that hard, two tiers later, it should be a hint to Blizzard? Best of luck to all the guilds out there progressing in Icecrown Citadel and a special to mention to all my fellow ten man guilds! I’d love to hear more thoughts on the tuning of Icecrown encounters thus far. European players woke today to the news that the limited attempts system implement in Icecrown Citadel so far is being removed from normal mode content after this week’s maintenance. From a personal point of view (and that of my guild), this is excellent news. While I enjoy “attempts” being facilitated as part of an achievement, such as the Tribute to Insanity mechanic in Trial of the Crusader, I really don’t like our attempts being limited when learning content. If a guild choose to spend hours or nights learning an encounter, they should be allowed to do so. Restricting our attempts on a boss and thus our time spent in an instance is tantamount to controlling our raiding time and that smells a little too much like an infringement of choice to me. Various factors can interfere with the limited attempts mechanism. A player being disconnected (particularly for ten man guilds like ourselves) is pretty disastrous and is certainly likely to cost an attempt. Server instability is another huge issue. Many guilds will complain about insane lag spikes, particularly on Wednesday evenings. In the case of Eonar, these can be highly inconsistent and no sooner do you think everything has settled than are you suddenly greeted with six second casting delays. Losing precious attempts to factors outside of personal control is infuriating. It puts everyone in a foul mood and generally makes the process of learning accounts no fun at all and we are ultimately here for fun. There is undoubtedly an argument that states the better and more skilled guilds shouldn’t need so much time to learn encounters. Equally everyone had access to the PTRs allowing them to sample the content before it went live. For most people however, learning is a process of repetition and removing this mechanism allows guilds to spend as much time as they wish progressing on the normal content. So thumbs up for removing this at last. Sadly, the incoming hard modes remain unaffected but this is a step in the right direction. Undoubtedly we will see the restricted attempts removed from these also after a couple of months as it is the only obvious way to remain faithful to their ethos of allowing all players to see all content.